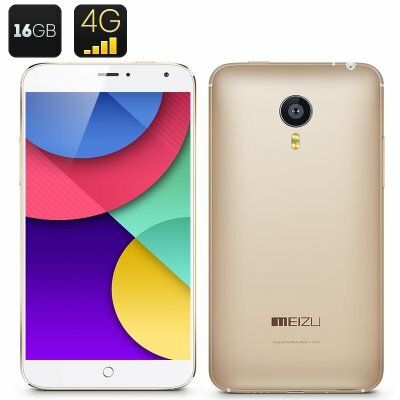 Successfully Added Meizu MX4 4G Smartphone - 16GB Internal Memory, MTK6595 Octa Core CPU, 2GB RAM, 5.4 Inch Display (Golden) to your Shopping Cart. Chinavasion is the only official China-based international distributor of the 'INTERNATIONAL VERSION' of the Meizu MX4. 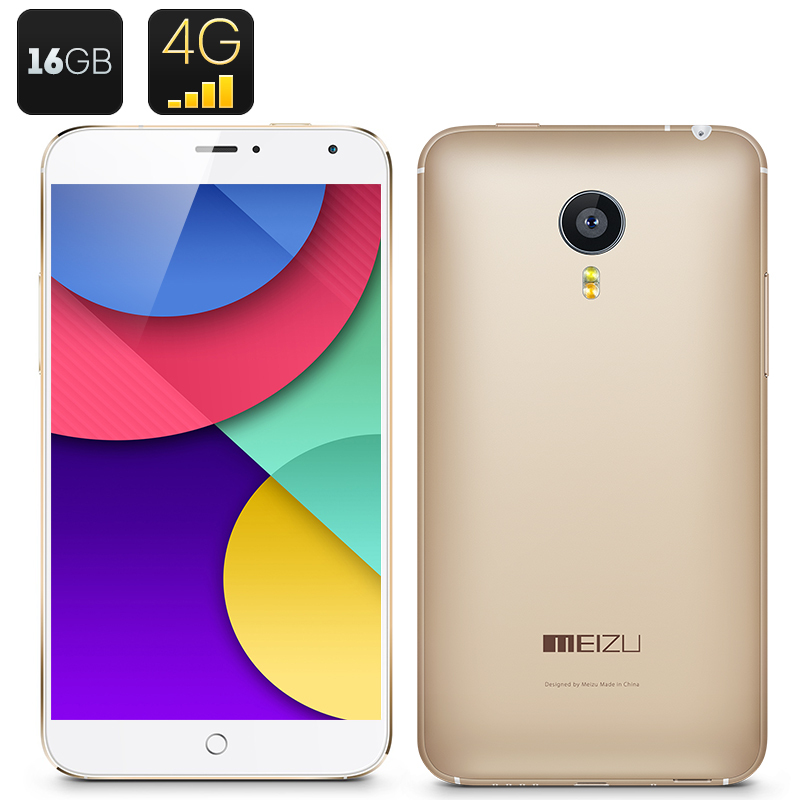 The Meizu MX4 4G Smartphone has 16GB of Internal Memory, a MTK6595 Octa Core CPU, 2GB of RAM and a 5.4 Inch Display. Introducing the Meizu MX4 in a ravisihing golden design that boasts an internal memory capacity of 16GB it is a true winner that stands out from the crowd. With a large display, a better-performing processor, a large battery life, faster data connectivity and a slim design, the Meizu MX4 has pushed the boundaries of design and technology to show the world how a big-screened phone can be easier to use. The research and development team at Meizu along with Sharp have created a new and advanced display for the MX4. The phone’s 5.4 inch display implements a new Nega liquid crystal technology as well as IPS and OGS so you can enjoy viewing and interacting on the 1920×1152 resolution capacitive touch screen. Photos, videos and texts have never looked so good. Bigger, brighter, better, more vivid, smarter. In addition you can take your own photos and videos on the massive 20 megapixel rear camera or the 2 megapixel front-facing camera. With the octa-core processor running at 2.2 GHz and sporting powerful Cortex A17 and A7 cores, the MX4 4G smartphone has enough horsepower to tackle everyday use. An advanced PowerVR G620 GPU can throw around pixels fast enough for you to enjoy the latest mobile gaming, while boosting screen reaction time. Another cool feature is that this Android smartphone is compatbible with 4G TD-LTE and FDD-LTE networks, with FDD-LTE reaching a download speed of 150 MbpsFast data connection means smooth HD video over data and uninterrupted VoIP video calls. Of course the MX4 is also backwards compatible with major 3G WCDMA and 2G GSM frequencies; therefore you can keep your friends and family up to date no matter where you are. The golden version of the Meizu MX4 is mostly being sold in China and trying to get hold of one internationally is considered a major challenge so Chinavasion is here to help you get your hands on this mega phone in a easy and convenient way. This product is in stock now, we guarantee next working day shipping and offer a 12 months warranty on all our products. Brought to you by the leader in electronic devices as well as wholesale Meizu Phones, Chinavasion.